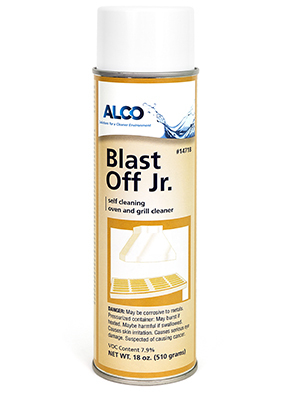 Alco Blast Off Jr. - Alco-Chem, Inc. Heavy foam cleaner that clings to oven surfaces and allows extended time to cut through baked on food, grease, and carbon. Citrus scent. Cleans most soils without scrubbing.